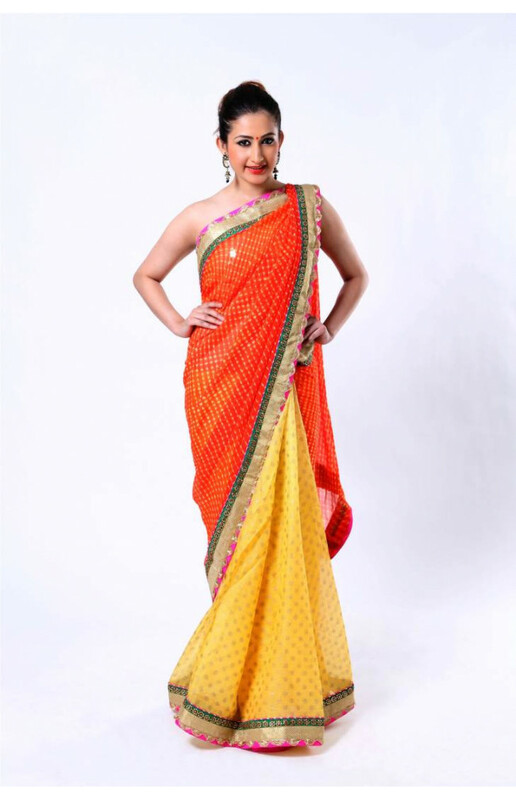 This saree is a fusion of traditional with contemporary. 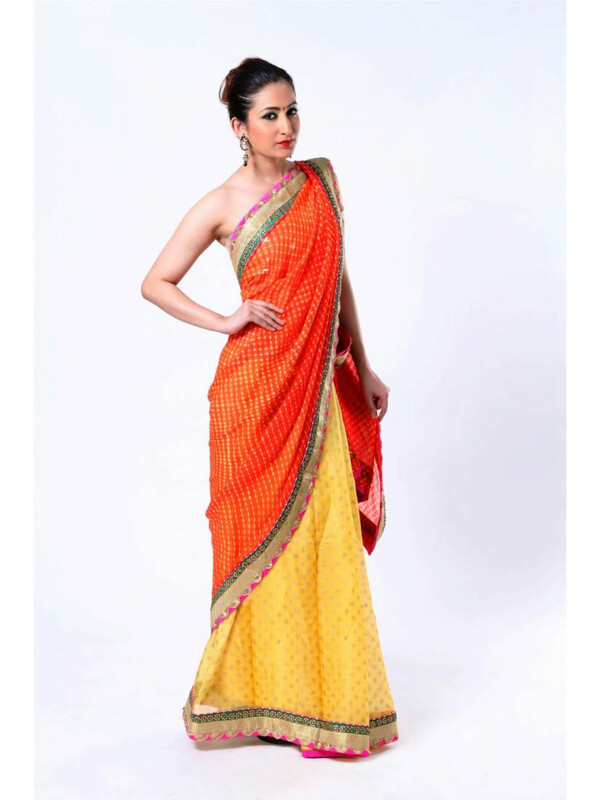 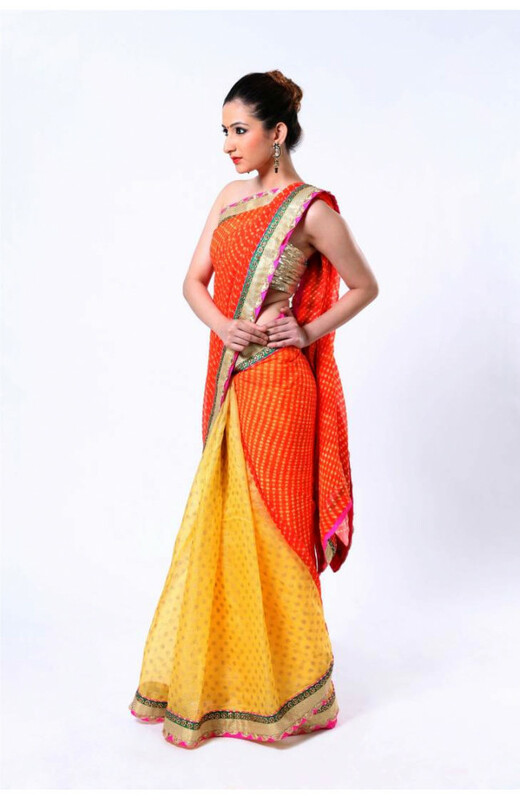 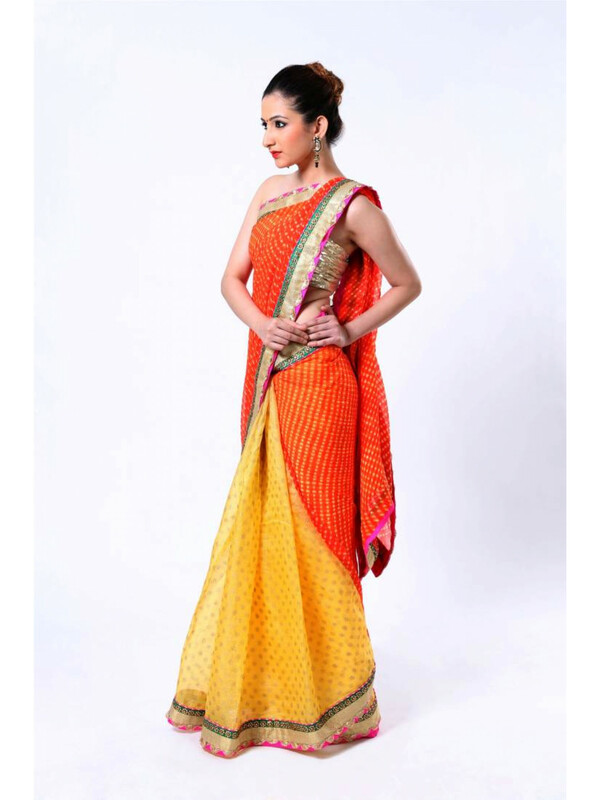 The classic orange leheria saree on the pallu and shoulder with yellow kota silk with gold block print in the skirt. 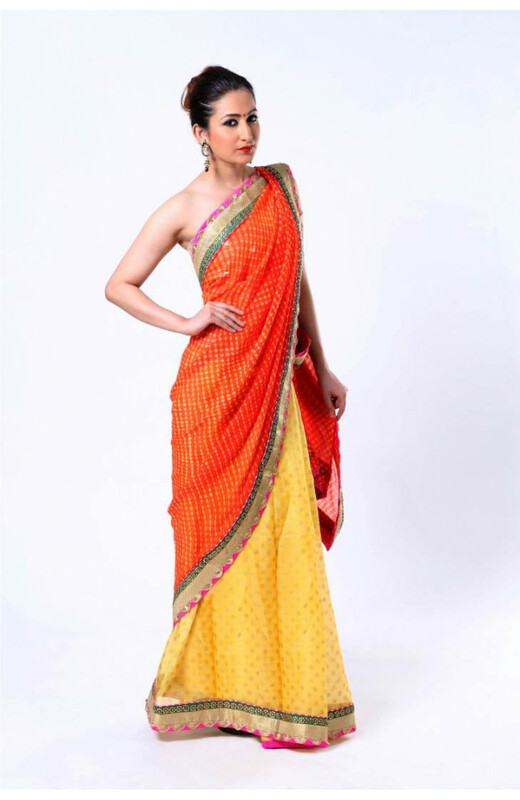 It has a contrast green embroidered border with kundan and zardozi work and Finished with pink patch and crochet border. 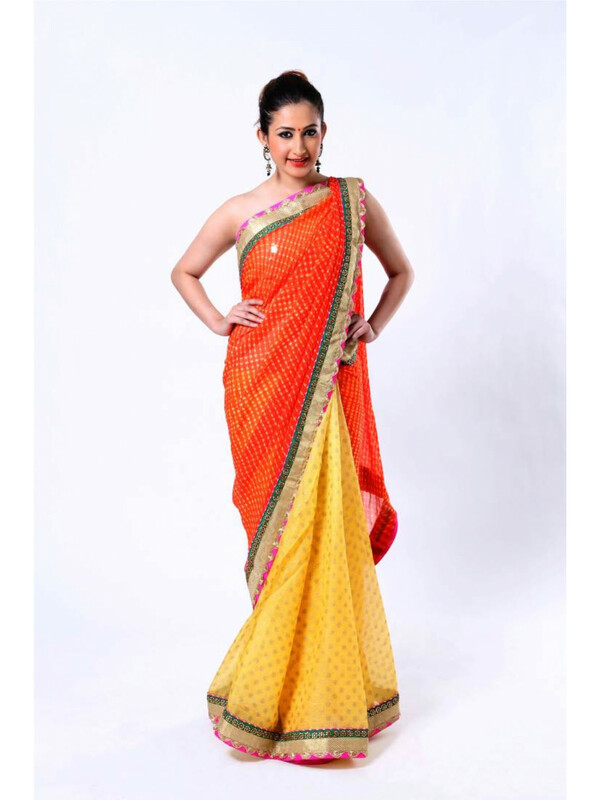 It comes with a matching yellow pure silk blouse.